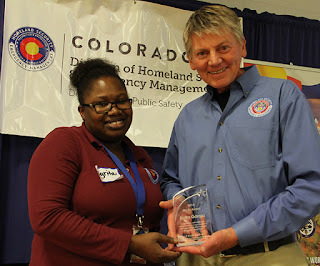 Each Year DHSEM honors the contributions, excellence and leadership of its employees. Below are the 2018 awards and their winners. 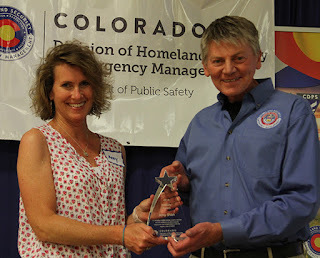 This award recognizes DHSEM members that others turn to for help or support regardless of their rank or position within the DHSEM. Characteristics of a “Go To” person include: diligent, selfless, consistent, pitch in to help, reliable, gets it done, team player, behind the scenes, and goes above and beyond what is expected of them to support their fellow team members. Syrita exemplifies everything the "Go To" award describes. She is service oriented, has a welcoming persona and always demonstrates positivity. She is always willing to assist in any task offers assistance before she is even asked to help. She works above and beyond to make sure task and projects get done. She is thorough, creative and reliable. She takes pride in her work and that is reflected not only by the products she creates but also by her personality and communication skills. She is insightful, takes initiative with requests she receives from our stakeholders and seeks out input for our SMEs to ensure that their needs and expectations are not only met but exceeded. Ryan is the “unsung” hero in the CIAC. He has delivered exemplary results to both his division team members and our numerous mission partners. His most notable efforts over the past year include key roles in the North Central Region Cybersecurity working group, cyber security incident response for multiple jurisdictions and proactive network security reviews. Over his first year at DHSEM he has widely become an indispensable talent in all things cyber. His extensive expertise has also gained the CIAC national notoriety among other fusion centers as top tier capability. Ryan’s ability to marshal open source cyber information into concise actionable intelligence has also become a resource for our private critical infrastructure partners. Private sector cybersecurity intelligence analysts that work for some of the largest communications providers in the nation count him as a “Go To” resource when it comes to vetting threat data and connecting the dots on real-time cyber attacks. 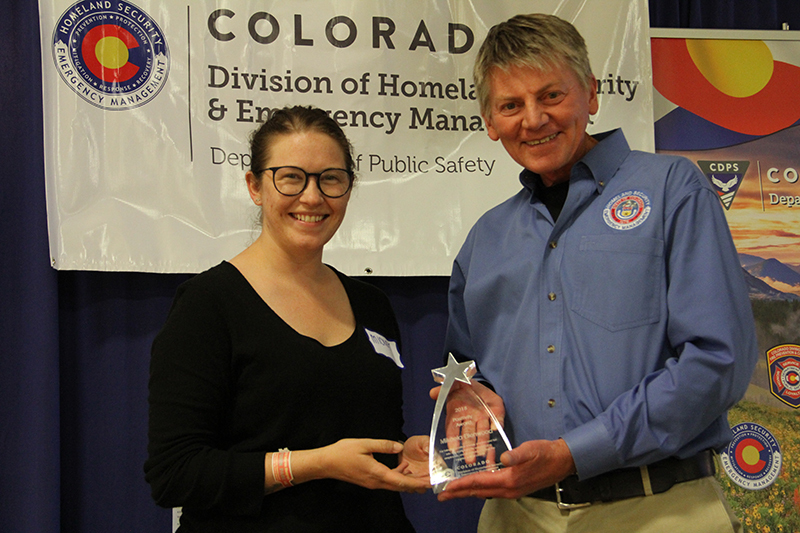 This award recognizes persons whose positive attitudes and outlooks directly affect other DHSEM members and the communities we serve. Characteristics of “Positivity” include: positive energy, inspiring, aloha spirit, optimistic, cheerleader, encouraging, happy, calm in a crisis, collaborative, fun, takes lemons and makes lemonade. 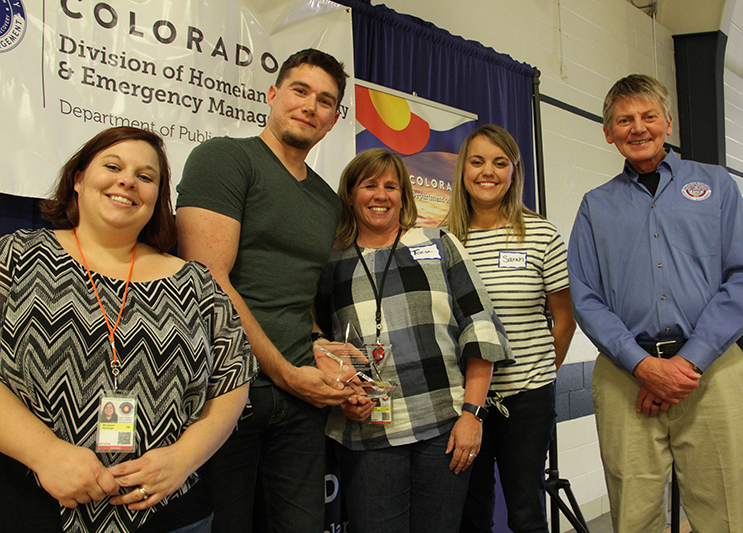 In April 2018, the Leadership Strategies Institute C2 Team was looking for assistance in creating a final presentation that reflected positively on their experience in the class as well as on DHSEM. No one within the team had the skills necessary to create and produce the video we had decided to tackle. Mikaela not only immediately and energetically took on the task, she provided the guidance necessary for the team to accomplish their goal. She was diligent in her efforts to ensure the final product exceeded their expectations! She did this with a positive attitude and outlook- even when we had to redo some of the video and a very compressed timeline. She is a reliable and a team player and exemplifies our Core Values. She is always looking for ways to help and get involved to support the team. Whether it's making a new employee feel welcome or dealing with several projects with multiple deadlines, Amy always puts her best foot forward, providing a positive image of DHSEM and an enjoyable work environment. By embracing the core values, Amy demonstrates her commitment to STRIVE, treating others with respect and giving each of her coworkers the support and encouragement they need. Amy is a great example of a team player! This award honors those who direct their time and energy for the greatest impact by incorporating new ideas, technology, and other strategies to maximize a positive impact on the Division. Characteristics of a “Work Smarter” person include: creative, thinks outside the box, innovative, change agent, fearless, cutting edge, idea person, progressive. Last year several employees identified a McAfee issue. This serious issue stalled all computer work and manipulation for a considerable amount of time. Several computers were down for days. Once contacted, it took Lucas immediately took action and within 15 minutes all the issues were repaired. Lucas has not only assisted the team during numerous occasions, he's also a vital resource for the division and department as a whole. He demonstrates working smarter each and every day as he keeps a fast moving progressive division up and running electronically. Thank you Lucas for your steadfast commitment to the State of Colorado. The definition of teamwork is the “combined action of a group of people, especially when effective and efficient.” This is the best way to describe the DHSEM Subrecipient Monitoring (SRM) team that consists of four individuals that have different backgrounds and bring strength to the DHSEM organization. The SRM team is instrumental is supporting the division's mission of providing excellent grant management support. The SRM team led the Division’s Strategic Policy Initiative for fiscal year 2018 to complete 45 site monitoring visits by the end of the fiscal year; but they decided to be overachievers and will actually 48 site visits. They are small but mighty and are able to accomplish more than one would expect because they work smarter and efficiently to make sure they exceed expectations. This award honors teams or groups of staff that achieve a common goal in support of the Division’s mission or a specific team goal that supports the services provided to stakeholders/communities through leadership, collaboration, coordination or forward thinking. Characteristics of a “Mission Accomplished” recipient include: demonstrating leadership by example and forward thinking in accomplishing a specific task or goal on behalf of the Division; a group that leads by example and inspires and motivates achievement by others or demonstrates success through coordination, collaboration and bridge-building within the Division, Department or with our customer/community stakeholders. 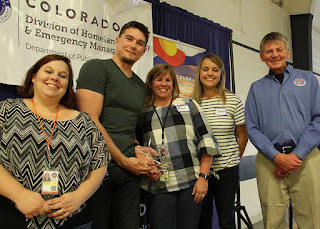 The team exemplifies the core values of DHSEM; are role models; exceed expectations; work great as a team and respect everyone they work with. They anticipate the needs of their subrecipients and offer assistance before problems arise. They collaborate with other teams in DHSEM to come up with processes that will be efficient and beneficial for all. and with DOLA and the other state disaster recovery programs to talk about best practices and ways to improve all processes. For the past year the team experienced several changes in staffing but with the changes they have continued to meet and exceed all deadlines, processed 219 RFRs totaling $15.51 million, monitor their subrecipients, conduct interviews for each project and provide technical assistance to each subrecipient and the contractors. They have set the tone for future grant programs. Presented at 2017 National Fusion Center Association on international terrorism and drug trafficking, FTO ideologies, the CIAC Threat Prioritization Program and Strategic Intelligence Product Policy They exceeded standards of excellence with a whole-team approach. This award recognizes an “unsung” hero whose performance is outstanding, yet the recipient remains “low profile”. The award is aimed at individual who provides exemplary conduct, service, or action that demonstrates a commitment to the values of the Division. The Denney Award is named for Steve Denney, a retired Field Service Deputy who served the people of Colorado for more than 22 years. Steve was a quiet professional who led by example and never sought recognition for his many exemplary actions throughout his career. 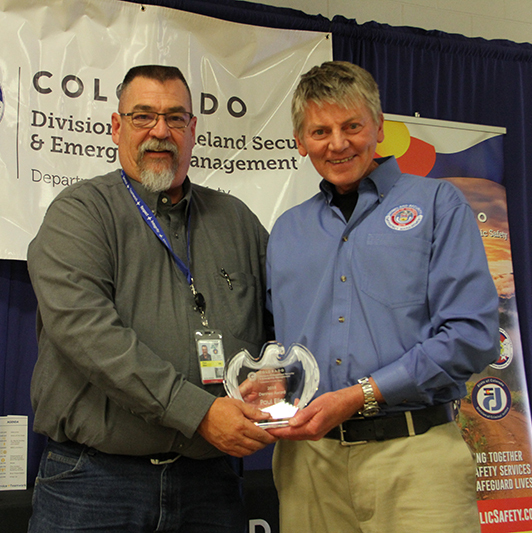 Paul Eller led the effort over the past year to update both DHSEM's Homeland Security Strategy as well as the division's strategic plan. He demonstrated exemplary performance in these two major efforts, while maintaining a humble and service driven attitude. The work he has accomplished is highly detailed and requires organizing many moving parts behind the scenes to make the more than a dozen engagement strategy meetings a valuable experience for the hundreds of stakeholders that participated in these meetings. He is the workhorse behind the scenes compiling the data and feedback to keep the process moving for both the new homeland security strategy and the division strategic plan. The products and efforts are top notch, reliable and on target. At the same time as shepherding these major projects, he is also a mentor and coach and a friendly ear to many of our staff who need advice or guidance. He always has time to help someone in need. This award honors a person whose leadership skills (whether formal or informal) and interpersonal style inspires and motivates others to achieve their full potential or helps groups, teams and/or units achieve a common goal supporting the Division's mission. Characteristics of a “Division Director Award” recipient include: “first among equals”, mentor, respected, leads by example, ethical, principled, inspiring, advocates on behalf of others, mediator, bridge builder, courageous and forward thinking. CDPS Executive Director Stan Hilkey had a vision that the CDPS would establish a Watch Center for not only the CDPS leadership but also for our external stakeholders. The Watch Center would gather, collate, analyze and distribute information and intelligence to CDPS leadership and our external partners and create a common operating picture for all involved in an incident. By the time Devon Rhoads was asked to coordinate and lead the effort -- we gave him 2 weeks to get the Watch Center operational. He was building the plane while flying it. During this time, Devon worked diligently to lead and coordinate all of the moving pieces to successfully establish the Watch Center. He did this by collaborating with the rest of the CIAC personnel as well as all the other divisions who had a role in the Watch Center. He worked diligently to develop an implementation plan, an administrative manual, 24/7 staffing schedule and work processes to make sure the Watch Center was a success. Devon exemplified our guiding principles by achieving the desired results; using innovative methods to get the “Watch Center” running; ensuring that the process was service oriented, recognizing the needs of the customers; and, focused on recruiting, empowering and supporting the right staff members to make the project successful. Devon also exemplified our Core Values by exceeding expectations of CDPS Leadership; fostering a teamwork approach; treating the team and leadership with respect; maintaining the integrity of the project and himself; and, maintaining a level of excellence throughout the project. Devon exhibited a high degree of leadership by example, inspiring his team to be successful in meeting the vision of CDPS leadership. As Devon would tell you, he did not do this alone, and the success is the result of ALL of the CIAC staff coming together, sacrificing their time and sometimes their schedules to support the success of this initiative. *Note: For security reasons, identifying information about CIAC members may be edited or withheld on public platforms.